In late March, Rise Up conducted a successful Leadership Accelerator program in Mexico through our partnership with Cummins Powers Women. Rise Up selected 18 social entrepreneurs, who learned to use advocacy and innovation to create large-scale social change. Rise Up leaders participated in hands-on learning sessions based on Rise Up’s award-winning curriculum, and they shared expertise to develop their own strategies to ensure that more girls can finish school, more women have access to economic opportunities, and more communities can bring an end to gender-based violence. Following the Accelerator, participants were given the opportunity to propose projects and potentially receive funding from Rise Up. After a competitive proposal period and extended review process in collaboration with the Cummins team, we are excited to announce the selection of our grantees! 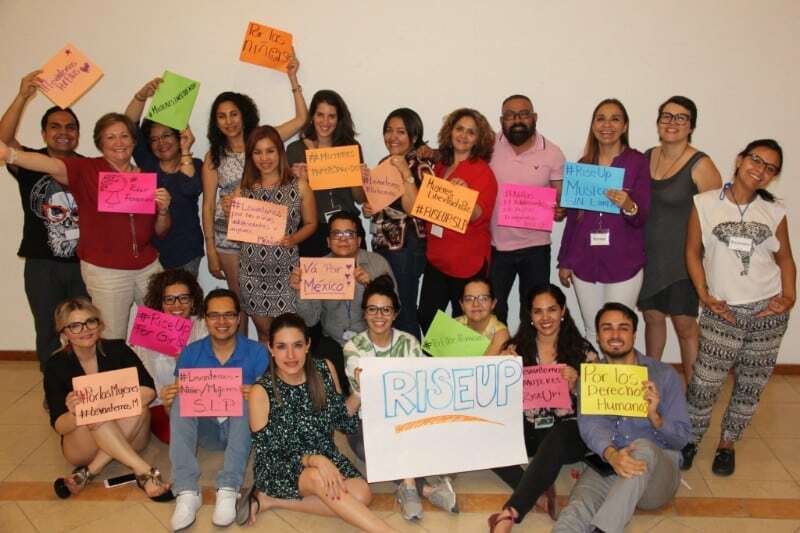 Rise Up will fund the following seven advocacy projects, which work to advance equity, social justice, and education for women and girls, with a focus on both community-level change and national-scale impact in Mexico.